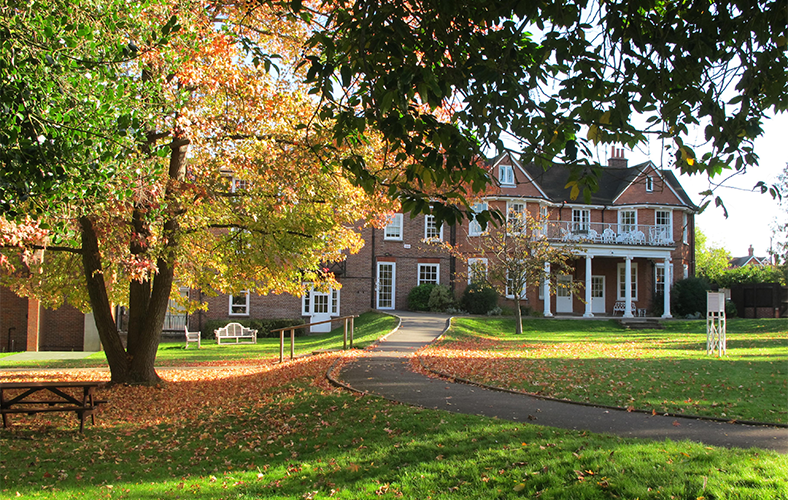 Lower School consists of the first three years of Senior School – Years 7, 8 and 9 – prior to the start of GCSE studies. Girls are welcomed into the Lower School from a wide variety of schools, including Tormead Junior School and many local Preparatory and Primary schools. Each Lower School year group consists of five mixed ability tutor groups of approximately 19 pupils each. The girls are taught in classes of approximately 24, although practical subjects such as Art, Music, Design Technology and Food and Nutrition are taught in smaller classes. Maths classes are set based upon ability. Responsibility and leadership are encouraged in a variety of ways; each form has a Form Captain and Deputy Form Captain, who represent their form’s views at School Council, and take responsibility for various administrative form duties. In Year 9 – the top of Lower School – girls hold additional positions of responsibility (applied for in Year 8), such as Sports, Drama, Art and Music Captains or Lower School Leaders. As part of the school’s pastoral induction programme for new Year 7s, all Year 9 girls automatically become an ‘Aunt’ to a new Year 7 girl. Information and Communications Technology is a particular strength and during these years all girls are taught the skills necessary to enable them to make best use of the well-equipped computer rooms. In addition, to ensure that they are well-prepared for life in an increasingly technology-based world, the Lower School girls benefit from using an iPad to support their learning, as this tablet technology is compulsory equipment. PSHE (Personal, Social, Health and Economic) education continues to be important in the Lower School, where pupils are helped to develop study skills and learn to take greater responsibility for the organisation of their work and learning. We look at health-related issues, such as substance abuse, as well as matters relating to friendships, bullying and relationships. Above all, we try to help pupils develop a sense of responsibility and a measure of independence.